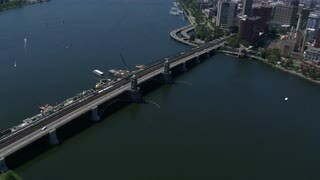 Search Results for "charles river"
Traffic on the Leonard P. Zakim Bunker Hill Bridge over the Charles River in Boston. The Leonard P. Zakim Bunker Hill Bridge in Boston as seen from the harbor. 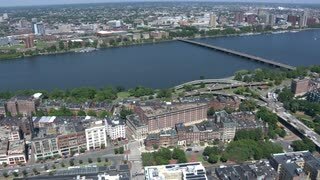 Boston Aerial v33 Flying very low over Charles River and Beacon Hill towards downtown. 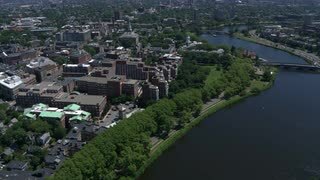 Medium-shot of a person rowing a boat along the Charles River in Cambridge, Massachusetts. 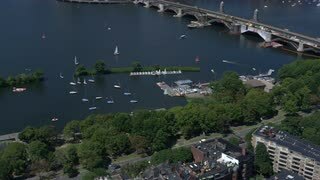 College crew team practices on Charles river in Boston on summer day with Cambridge in background. Boston from across the Charles River. Boston sunset cityscape from across the Charles River. 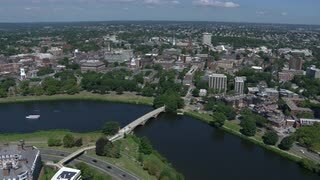 A bridge over the Charles River is shown at sunset as well as a building in Boston, Massachusetts.